The City of Binghamton has a long-standing commitment to historic preservation. The Commission on Architecture and Urban Design was established in 1964 and the City became a Certified Local Government in 1988. The City contains four National Register Historic Districts, three of which (the Court Street, the State and Henry Street, and the Rail Terminal Districts) are also designated as Local Historic Districts. Additionally, the City contains numerous Local Landmarks and properties listed on the National Register. The City remains committed to preserving the physical and cultural resources within the City of Binghamton. Often, if you do not have experience working with historic properties, it can be difficult to figure out what you should do to preserve the historic character of the building. In 2011, the City of Binghamton hired a consultant to help produce a modern, up-to-date set of Design Guidelines for Historic Properties. The new City of Binghamton Historic Design Guidelines were official adopted by City Council on October 5, 2011. They provide information on Historic Preservation approaches and procedures, design principles, architectural styles, and applicable City laws. Historic Districts - What are they? Where are they? National Register Historic Districts: These are districts listed on the National Register of Historic Places, and have been determined by the National Park Service to be “a geographically definable area, urban or rural, possessing a significant concentration, linkage, or continuity of sites, buildings, structures, or objects united by past events or aesthetically by plan or physical development. A district may also comprise individual elements separated geographically but linked by association or history.” A National Register designation is an official acknowledgment by the federal government that an area holds culturally significant characteristics which are worthy of preservation. Designation as a National Register Historic District provides the area protection from any threats which involve the federal government or federal monies. It also provides access to some federal financial incentives. Local Historic Districts: Local Historic Districts, by contrast, are designated and listed at the local level and are subject to highest level of protection against threats. They are established and governed by local laws and/or ordinances which can impose restrictions and regulations on the properties within the boundaries of those districts. Along with these restrictions, however, there may be additional financial opportunities available to these properties. Heritage Area Districts: The City of Binghamton is part of the Susquehanna Heritage Area. Heritage Area Districts differ from Historic Districts in that they incorporate natural, cultural, historic, and recreation areas, instead of simply the built environment. They seek to combine these four elements into a “cohesive, nationally distinctive landscape arising from patterns of human activity shaped by geography. These areas tell nationally important stories about our nation and are representative of the national experience through both the physical features that remain and the traditions that have evolved within them.” In New York, Heritage Area designation is intended specifically to “promote sustainable development and enhance quality of life through programs and activities in historic preservation, resource conservation, recreation, interpretation, and community capacity-building that demonstrate respect for the people, the place, and the past.” More information on NYS Heritage Areas can be found here. The Certified Local Government Program (CLG) supports and strengthens local preservation activities by assisting communities to achieve their preservation goals through the development of an action plan. Read more about the CLG program on the New York State Historic Preservation website by clicking here. Binghamton became a Certified Local Government in 1988, the 10th municipality in New York State achieve this status; there are currently 70 CLGs in New York. A historic property is a property that is designated or has been determined eligible at the local, state, or federal level. Properties eligible for local historic designation must either be important for representing broad patterns of history, for their association with the life of a historically significant person, or for conveying high architectural or artistic value. How do I know if my property is a historic resource? Please contact the Historic Preservation Planner to find out if your property qualifies as a historic property. The city maintains a list of all locally designated properties. This includes individually designated properties as well as historic districts. You can check whether your property is designated with the Historic Preservation Planner. What if my property qualifies as a historic resource? If your property qualifies as a historic property or is located within the boundaries of a historic district, all exterior alterations, additions, and repairs require a review by the Commission on Architecture & Urban Design (CAUD). This includes alterations that do not require a permit. If you are unsure if your project requires review, contact the Historic Preservation Planner for guidance. What is CAUD and what does it do? CAUD stands for Commission on Architecture and Urban Design. 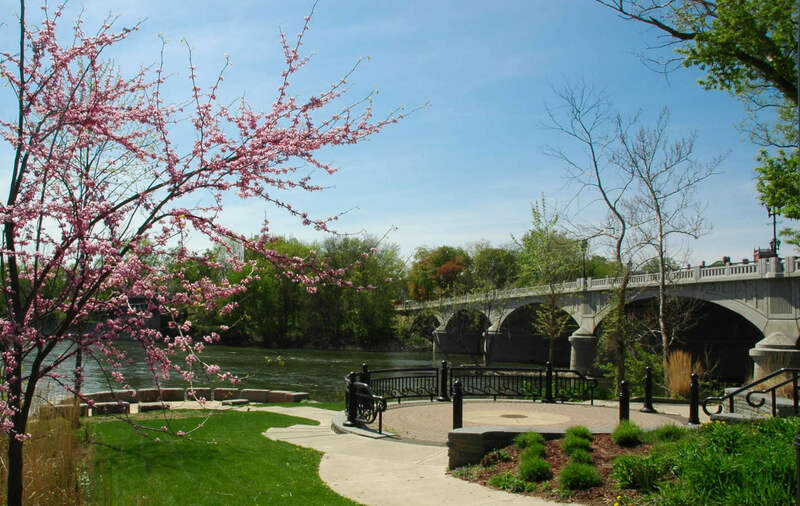 It is comprised of members of the public, who oversee the establishment and preservation of historic landmarks and historic districts in the City of Binghamton. To this end, they are authorized by City ordinance to review proposed exterior alterations to all historic landmarks or properties located within historic districts. They can then decide to issue a Certificate of Approval, Approval with Conditions, or Denial based on their findings. If I want to paint my historic building, is the work subject to reviewed? Yes. All exterior changes to a designated property must go through some level of review. The review process applies to exterior improvements, including (but not limited to): painting, window and door replacement, walls and fences, and signage. Please refer to the Historic Design Review page for details. Is there a fee for a CAUD review? There is no fee for Design Review. There is a $100 fee for a Local Landmark designation review. How do apply for CAUD approval? The first step to meet with the Historic Preservation Planner, who can go over your proposed plan and provide some guidance on what might be acceptable. The next step is to fill out a CAUD Design Review Application, which can be downloaded from CAUD section of the Planning, Housing, and Community Development website. Submit your completed application to the Historic Preservation Planner, along with copies of architectural drawings, photographs of the property, product samples or brochures, or any other materials necessary for CAUD to make proper review (consult with the Historic Preservation Planner as to what materials may be required for your specific project). The more detailed information you can provide the Commission, the easier and quicker they will be able to reach a decision. After you submit your application materials, city staff will review them for completeness and submit a report to CAUD, detailing the proposal and staff findings. The application will be reviewed at the monthly CAUD meeting (held the last Tuesday of every month, at 12:00 noon, in the Planning Conference Room, 4th Floor, City Hall). You are highly encouraged to attend this meeting so you can address any concerns the Commission has in person. Call the City of Binghamton Historic Preservation Planner at (607) 772-7028 or email us. Are there any funds to help with Historic Preservation projects? Properties listed on the National Register of Historic Places or contributing buildings to National Register Historic Districts may be eligible for Federal and/or New York State Tax Credits for potentially up to 20% of qualifying costs for owner-occupied residential buildings, or up to 40% of qualifying costs for incoming producing buildings (this includes RENTAL residential). More information is available on the NY State Historic Preservation Office (SHPO) website. Any designated historic property, Nation Register or Local Landmark, may be eligible for the 444a tax abatement program. If a historic preservation project will result in the accessed value, and therefore the taxes, to go up, that increase in taxes can be abated for a total of 10 years (100% abatement for the first 5 years, 80% abatement in year 6, 60% abatement in year 7, et cetera). Please call the Historic Preservation Planner at (607) 772-7028 for more information.